At the same time, strong demands are placed on district school lunch programs to be financially solvent. With declines in property values and other income, school budgets are declining. While not run for profit, school lunch programs must keep participation levels high and must meet costs in order to preserve the education budget of the school district. Thus, school lunch administrators must also worry about what will sell. It may be possible to replace the standard cheese pizza on white flour crust with pizza smothered in spinach, artichoke hearts, and other vegetables on a whole wheat flaxseed crust. But the healthier pizza is more expensive, and fewer children may want to eat it. Hence many school districts walk a tightrope. School districts must increase the health content of their sales while trying to avoid any reduction in their financial viability. Eliminating the less nutritional items often means eliminating the meal budget’s highest margin items. Further, child patronage of the school lunch program is understandably dependent upon schools offering foods that students are familiar with and that they like, and that will satisfy their appetites. Economists and psychologists are developing a new set of tools that promise to help relax the tension between these two competing views of school lunches. These new tools are based in the emerging discipline of behavioral economics. Behavioral economics combines the behavioral models of psychology with the decision models of economics to help highlight how biases in perception, memory, or thought processes may influence purchasing decisions. This new approach helps us to identify the behavioral triggers that lead to the selection and consumption of healthier foods and healthier quantities of food. As well, we can determine the subtle and inadvertent signals that school cafeterias may send that trigger less nutritional eating. Moreover, many of the factors identified by behavioral economics can be exploited with very little investment. Much of the apparent tension between health and cost is due to the particular approaches taken to each problem. Introducing ultra-nutritious products into the lunchroom requires a significant increase in spending while risking reductions in unit sales and total participation levels. Banning popular items for their content also directly reduces sales. But suppose that instead of these drastic measures, we could simply rearrange items that are currently offered within the school to encourage children to buy more of the more nutritional items and less of the less nutritional items. Such a strategy costs very little, has a negligible impact on overall revenue, and may provide a way for school districts to show a demonstrable increase in the nutritional content of their meals. By using tools that will both increase the sales of more nutritional foods and decrease the sales of less nutritional foods, behavioral tools can achieve nutritional goals while having a minimal impact on the bottom line. What Is Behavioral Economics and Why Is It in My Child’s Lunch? With obesity rates on the rise among all age cohorts, policy has increasingly focused on the youngest among us. The reasons for this focus on childhood obesity are relatively clear. While childhood obesity rates are no greater than adult rates, it is generally believed that it is much easier to prevent obesity than to combat it once it takes hold. To do this, we need to help children develop healthy eating habits. Two very simple principles from psychology tell us something about how this can be accomplished. The first is called reactance. When people feel coerced into doing something, they often react to this coercion by intentionally rebelling. Thus, forcing kids to abstain from a lunchtime cookie or brownie every day may unintentionally pave a direct afterschool path to the convenience store or their home where they can find cookies or brownies thus avoiding the heavy hand of the school lunch administrator. In fact, there is some evidence that students try to compensate for the more heavy-handed actions by schools. Moreover, when people are coerced through elimination of choices or through undue incentives being placed on specific choices, long-term behavior is unlikely to change. Once the heavy restrictions are no longer there, individuals will return to the equilibrium of the foods they like. The second principle is self-attribution. When people feel as if they have freely and consciously made a decision, they take ownership of that decision and tend to have a greater enjoyment of the outcome. As a simple example, consider a small child being asked to go to bed. If told that bedtime is at 8:30 p.m., the child may be irritated and angry because he or she is being forced to go to bed. If—instead of dictating the bed time—a parent lets the child choose between going to bed at either 8:00 or 8:30, the child may willingly choose 8:30 and go happily to bed—glad to have had the choice. Such ownership in an environment where all options are available can lead to habit formation. Thus, the measure of success may not be the health of the items offered in the school, but the health of the items eaten at school. If children can be presented healthy and unhealthy items and be led to willingly choose the good, they will be better prepared for the food choices they will face in an open and competitive food market. Thus, the object of using behavioral economics in school lunch rooms is to guide choices in a way that is subtle enough that children are unaware of the mechanism. These subtle changes often have the advantage of being relatively cheap and easy to implement. This is a clear advantage given the financial climate. However, behavioral economic instruments cannot achieve 100% compliance. For example, the only way to eliminate soda consumption in a school is to eliminate the soda. If we instead approach the problem by allowing choice but place the soda at some disadvantage in the marketplace, we can reduce soda consumption substantially but not eliminate it. To preserve choice, we will necessarily have to allow some individuals to purchase items that are less nutritious. But we can make these choices less convenient or less visible, by moving the soda machines into more distant, less visited parts of the school. To illustrate how behavioral economic concepts can help increase the nutritional content of foods without harming the bottom line, a few examples from the field may be helpful. Some of the tools are extremely simple to implement and can provide a big bang for the buck. For example, simply closing the lid on the freezer that contains ice cream can reduce the number choosing ice cream from 30% to 14%. Similar results can be obtained by simply moving vending machines farther from the cafeteria (Meyers, Stunkard and Coll, 1980). There are unexpectedly large responses to moving food or to moving traffic flow patterns. In one Minnesota school, we found that cash registers were one of the bottlenecks in the system. While students waited to pay, they were faced with a wide array of grain-based snacks, chips, granola bars, and desserts. This appeared to generate a number of impulse purchases. While one option would have been to move these temptations, this option would have almost assuredly decreased revenue. A better option was to replace these snacks with an array of fruits. This way, when students were waiting to check out, the impulse temptations were healthier options. Fruit sales increased, snack food sales decreased, and total revenue did not significantly decrease. Part of the increase in fruit sales may have also been aided by the inclusion of a wider variety of fruits, plums and peaches, in addition to the standard trio of apples, bananas, and oranges. In order to obtain the USDA subsidy for a school meal, the meal must contain at least three separate food items and at least one must be from the protein food group. Being aware of this financial incentive, the food service staff person operating the cash register will often inspect a meal and if the meal has only two items, will suggest that the student take an extra item. In many schools, because milk is kept right next to the cash register, it is often suggested as a nutritious option to complete the meal. When visiting one school where this setup prevailed, we quickly noticed that a number of the students taking milk were taking it because they had been asked to do so. They did not intend to consume it. As a result, the trash bins had many unused milk cartons that had been thrown away. Instead of milk, suppose this school placed fruit next to the cash register and milk at the front of the line. Several studies have shown that suggesting a student take fruit will increase the number of students eating (not just taking) the fruit by as much as 70% (Schwartz, 2007). Further, while milk can go bad or become unappetizing when warm, fruit may be easily carried out of the lunchroom and eaten later in the day. Finally, most fruit costs substantially less than a lunch-sized carton of milk. Thus, it could be that placing fruit at the end of the lunch line would maintain the level of USDA subsidy, increase the health content of the food consumed, and reduce the costs of providing the foods. Such simple solutions can make a nice addition to both health and financial goals. Consider the problem of a middle school in the Corning, New York, area. Their lunchroom consists of two lunch lines feeding into two cash registers. A portable salad bar was initially introduced and situated against the wall just three feet to the east of the easternmost lunch line, and parallel to that line. 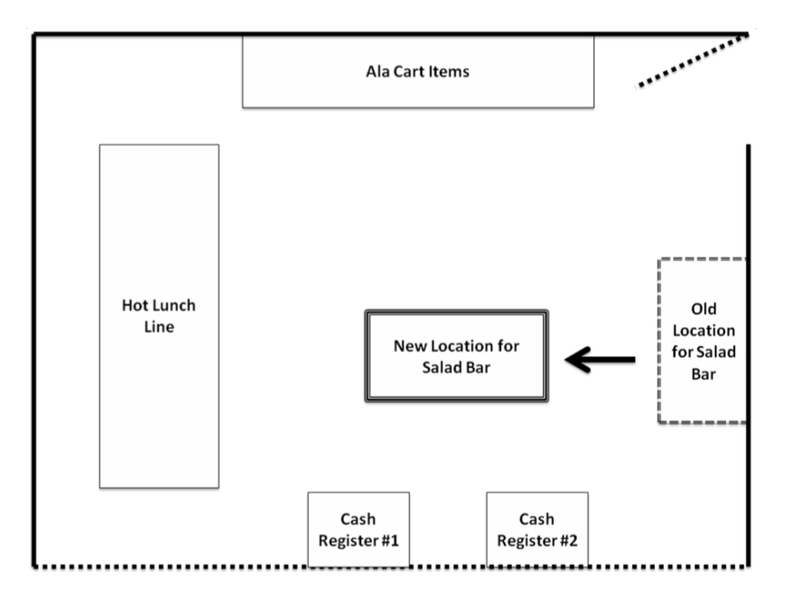 Purchasing a salad would require a student to walk to the salad bar, place their salad on a plate, and then go to the end of the lunch line to wait for the cash register. Sales of salad were rather sluggish. 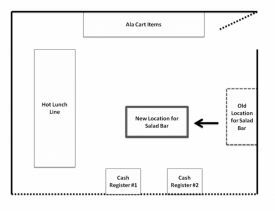 By rotating the salad bar 90 degrees and moving it to the middle of the lunch room (see Figure 1), it became something students had to walk around, not something they could mindlessly walk by. Sales immediately increased the week after the move and continued to increase as it became a part of the lunchtime routine for students. Rather than gutting sales as many measures aimed at promoting better nutrition may tend to do, this move increased overall sales and profitability. Visibility of food has been found to increase desire (Volkow et al., 2002) and thus sales. Additionally, the level of convenience to select salad was increased as one could walk through the line while getting their salad. Most importantly children chose the salad without prodding or heavy handed measures. This move makes it much more likely that children will begin to develop a healthy habit of choosing the salad at lunch when it is available. 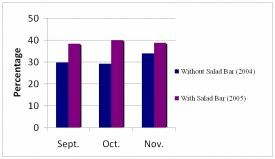 Indeed in one high school of 1000 students, simply introducing a salad bar increased average reimbursable lunch participation by 21% from one year to the next (see Figure 2, sales data collected from the Corning School District, Corning, NY). 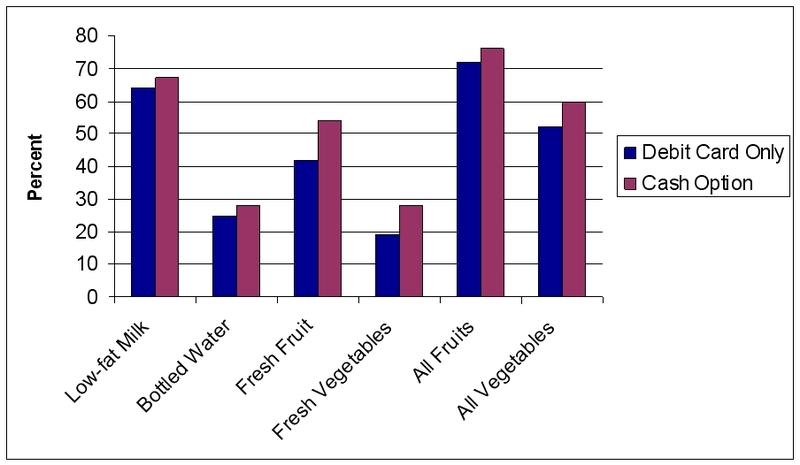 In general, when schools require students to take vegetables, only about 35% of the students actually consume the vegetables, resulting in substantial waste of food and resources (see, for example, Price and Just, 2009). In fact, a recent study suggests that requiring students to take vegetables rather than allowing them to control this choice by selecting or rejecting vegetables has virtually no impact on vegetable consumption, while nearly doubling the waste from vegetables (Price and Just, 2009). Alternatively, consider what might happen if students were given the choice between carrots and celery. In a recent experiment we conducted at Cornell, 120 junior high participants in a summer 4H program were told they must take carrots with their lunch, while another 120 were given the choice of carrots or of celery (103 of 120 selected the carrots). Of those required to take the carrots, 69% (83 of 120) consumed the carrots, while 91% (94 of 103) of those choosing between carrots or celery consumed their vegetable. Such results suggest that requiring a vegetable, while offering an active choice between at least two options substantially reduces the waste from vegetables, and increases the nutritional content of the foods consumed. The type of tray used for carrying the food can also play heavily into the food decisions of the individual. Relevant to some high schools, there is a recent trend in college dining halls that might be of interest. In order to reduce waste, many colleges are phasing out the use of trays—especially in all-you-can-eat buffet-style cafeterias—forcing students to carry individual plates and glasses. This move was made in the hopes that they might reduce waste. That is, people might take less and eat more of what they do take. One key question remains: if students take fewer foods, what do they leave behind—salads or desserts? In our investigation of trayless cafeterias, we found not having a tray made students much more reluctant to take side dishes. Unfortunately, most of the fruit and vegetable content of meals are in these side dishes. Our matched-meal study of a 1200 person dining hall at Cornell, found that 26% fewer salads were taken, but only 8% fewer bowls of ice cream. Strangely, there was even more waste without the trays. Without trays, students took larger portions of things they liked. With larger portions and less variety, we found they tended to take more than they ended up eating. Cafeterias with fixed portion-sizes may have less waste. Nevertheless, trayless serve-yourself cafeterias reduced nutrition without reducing waste. One inspiration for many of our insights and recommendations comes from watching adolescents and high school students order their meals at fast food restaurants and food courts. In these contexts, the default options offered in the meal—soft drinks and fries—tend to be what most order, even though milk, salads or apple slices are also available at no added cost. The potential power of these options leads us to question, what if restaurants—or school lunchrooms—were to change the defaults. What if instead of putting tater tots on a tray they put peas on the tray and gave students the option of substituting tater tots for peas if they wanted? In one study of 4-H elementary school aged students in a summer 4-H program, we examined how changing food defaults would work. On one day we gave these students a lunch where they were given French Fries as the default but asked if they wanted to trade their French Fries for apple fries (prepealed, presliced apples) with caramel dip, commonly available at fast food restaurants. Of the 21 students, 20 (95%) wanted to stay with the French Fries default. Two days later we did the reverse, we gave these students a lunch where they were given apple fries as a default but asked if they wanted to trade them for French Fries. Of the 22 students in class that day 21 (96%) wanted to switch to French Fries. What initially appeared to be a strong case for food defaults, ended up being overwhelmed by an overriding preference for French Fries. While defaults might work well in cases where preferences are ambiguous or where people don’t care, they might not be the solution in the school lunch room. Of all of the different food psychology and behavioral economic tactics we’ve so far introduced into schools, the one that may have the largest success at the lowest cost is requiring high school students to pay cash for desserts and soft drinks. We don’t take their desserts away, we just say, “If you want that cookie bad enough, you can pay cash for it.” They can’t mindlessly put it on their debit card or on their pin account, they have to take out the dollar they might otherwise spend on an iTune and ask themselves how bad they want the cookie. In our experiments and in our analysis of the USDA’s School Nutrition Dietary Assessment (SNDA) data, we find this change does not hurt revenue or participation and it leads to greater sales of more nutritious items and lower sales of the less nutritious items. 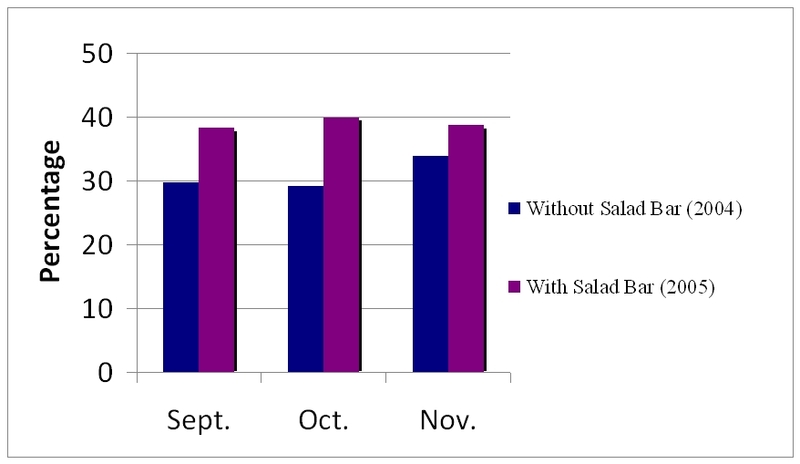 Figure 3 presents some summary statistics for sales of nutritious foods from the SNDA national sample of schools offering different payment methods. Those in the schools allowing cash purchases see higher sales of nutritious foods. A seemingly modest adjustment to the existing school lunch payment systems could have a sizable influence on food choice. Over the years, this could significantly impact the weight and health of children. Restricting the use of prepaid debit cards to healthier foods allows parents to reclaim some control over their child’s food choice set, without unfairly restricting them or without decreasing the revenue for school cafeterias. Lunch debit accounts are prepaid by parents, who often have the option of using an online payment system and a credit card. Changing the system to accommodate wide-scale restrictions to healthier foods could be done simply and could be built into the software that codes the meal cards. Restricting the use of debit cards to healthier items is a default change that could be made with all cards at the beginning of the year. Any parent wishing to change the card to an unrestricted card could do so on-line. Every school district that participates in the National School Lunch program is required to have a local school wellness policy—this is a tool that can be used to promote healthier eating and physical activity through changes in school environments. These nascent wellness policies are to be determined by, monitored by, and altered by a school district wellness board comprised of local citizens. Many of these boards are uncertain of the steps they can take to make a positive difference in their schools. Being able to champion a restricted debit card system would be an easy, high visibility initiative for a wellness board. We shouldn’t judge the quality of a school lunch by what leaves the lunch line. We should judge it in terms of what foods a child eats. Overly restricting a student’s options is like forcing a child to eat their vegetables. In the end, we might win the in-school battle but lose the after-school war. We might condition them for food choices as a high school student, but leave them unprepared for the battle of the Freshman-15 or the fast food establishment near or at a worksite that awaits them afterward. To help savvy school lunch directors and wellness boards think about how they can design smarter lunchrooms, we’ve developed a website SmarterLunchrooms.org. It shares recent research findings and case studies. Further, it provides a forum for practitioners to share the creative, inexpensive new ways they are helping students eat healthier—without the students even knowing. Through careful thought and simple innovations, great changes can be made—even in the school lunchroom. Just, D.R., Mancino, L., and Wansink, B. (2007, June). Could behavioral economics help improve diet quality of nutrition assistance program participants? Economic Research Report Number 43. Washington, DC: U.S. Department of Agriculture, Economics Research Service. Meyers, A.W., Stunkard, A.J., and Coll, M. (1980). Food Accessibility and Food Choice. A Test of Schachter’s Externality Hypothesis. Archives of General Psychology, 37(10), 1133-1135. Price, J.P. and Just, D.R. (2009). Getting Kids to Eat Their Veggies. Presented at the International Association of Agricultural Economists 27th Triennial Conference, Beijing, China. Schwartz, M.B. (2007). 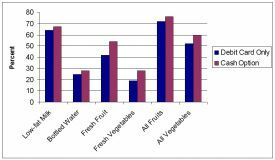 The Influence of a Verbal Prompt on School Lunch Fruit Consumption: A Pilot Study. International Journal of Behavioral Nutrition and Physical Activity, 4(6), 5. Thaler, R.H., and Sunstein, C.R. (2008). Nudge. New York: Knopf. Volkow, N.D., Wang, G.-J., Fowler, J.S., Logan, J., Jayne, M., Franceschi, D., Wong, C., Gatley, S.J., Gifford, A.N., Ding, Y.-S. and Pappas, N. (2002). “Nonhedonic” Food Motivation in Humans Involves Dopamine in the Dorsal Stiatum and Methylphenidate Amplifies this Effect. Synapse, 44(3), 175-180. Wansink, B. (2006). Mindless eating—Why we eat more than we think. New York: Bantam-Dell. Wansink, B., Just, D.R., and Payne, C.R. (2009). Mindless eating and healthy heuristics for the irrational. American Economic Review, 99(2, May), 165-169. David R. Just (drj3@cornell.edu) is Associate Professor, Department of Applied Economics and Management, Cornell University, Ithaca, New York. Brian Wansink (wasink@cornell.edu) is the John S. Dyson Professor of Marketing, Department of Applied Economics and Management, Cornell University, Ithaca, New York. The research appearing in this study was sponsored by multiple grants from the Economic Research Service of the U.S. Department of Agriculture.